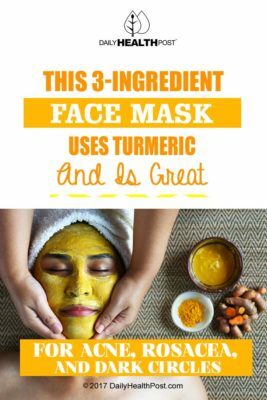 This 3-ingredient Turmeric Face Mask For Acne Is Simple! This face mask is made simply, with just three ingredients, and can help brighten up the complexion, as well as fight inflammation caused by acne and other skin conditions. Made with turmeric and raw honey, it’s great for cleaning pores and also reducing redness and irritation. Turmeric is a spice commonly used in South Asian cooking, so if you’re having a hard time finding it, check your local Indian or Pakistani market for a bulk selection of it, rather than the overpriced small containers that they have at most Western grocery stores. Heat the raw honey over low heat until it takes on a more liquid form. Using a glass bowl, mix the turmeric and honey, then add the milk, combining the three ingredients into a thick paste. The paste should be pliable, but thick enough that it won’t drip off your face while you’re wearing the mask! Remember that turmeric is often used as a dye, and will stain any fabric it touches, so be sure to wear an apron while you’re making this mixture. The ideal way to apply this mask is using a foundation brush, but if you don’t have one, you can use a spoon or even your fingers to facilitate the application. Spread the paste evenly across your cheeks, nose, chin and forehead. You should have enough to spread a thin layer over your entire face. Be careful to avoid getting it in your eyes – if you do, rinse your eyes thoroughly with water. Let the mask sit for about thirty minutes. Once it has started to dry at the edges, the mask is ready to be removed. You can remove it easily by rinsing your face with warm water, rubbing your face in a circular motion with your fingertips. Turmeric is a natural anti-inflammatory and anti-bacterial agent(1) that is used in traditional medicine throughout the world. Honey is also a natural anti-bacterial agent(2), which helps fight acne at the source. Organic milk contains lactic acid, which is a natural exfoliant(3). The combination of these three ingredients means that this face mask cleanses, exfoliates and moisturizes all at the same time. 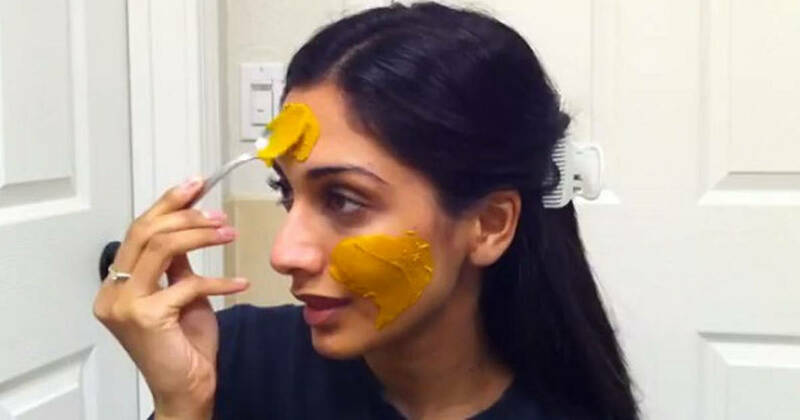 Turmeric face masks are used widely throughout South Asia; in India and Pakistan, for example, they’re often used as a pre-wedding facial treatment for the bride! If you have any of the face mask left over after your treatment, don’t throw it out – it can be saved in the fridge and used another day.